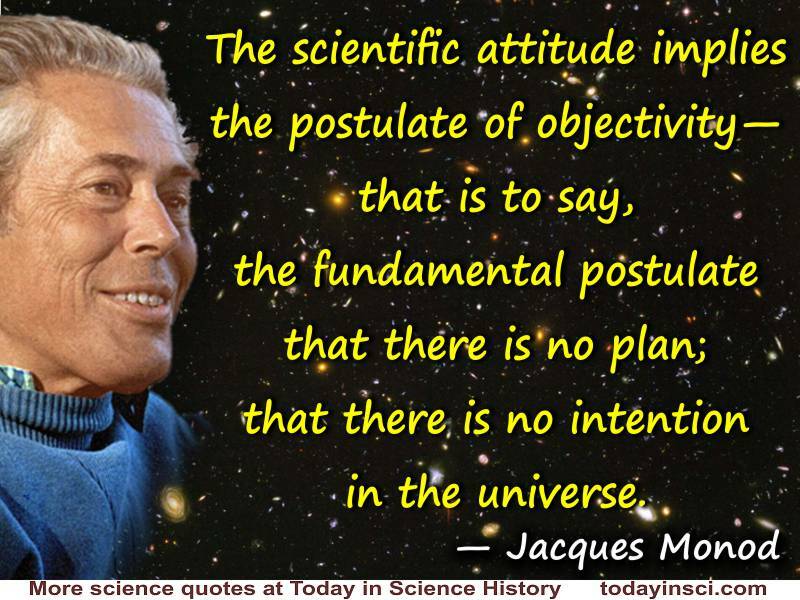 “What I have tried to show, is that the scientific attitude implies what I call the postulate of objectivity — that is to say, the fundamental postulate that there is no plan, that there is no intention in the universe. 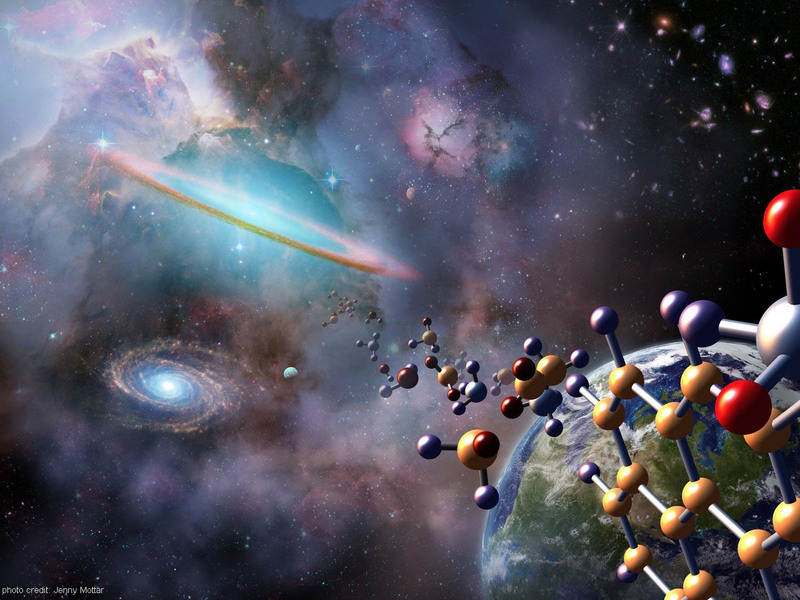 Now this is basically incompatible with virtually all the religious or metaphysical systems whatever, all of which try to show that there is some sort of harmony between man and the universe and that man is a product—predictable if not indispensable—of the evolution of the universe. “Of course, naive faiths, fundamentalist beliefs in the Bible do just that. They put man in the center of the universe and believe that for some reason there is a necessity everywhere under God’s command. Monod referred to the late French Jesuit and paleontologist, Pierre Teilhard de Chardin. The article reported that to date, some 155,000 copies of Monod’s book were already in print, with further translations on the way. Monod was to become the head of the Pasteur Institute the following month. Text by Webmaster, with quote from John C. Hess, 'French Nobel Biologist Says World Based on Chance Leaves Man Free to Choose His Own Ethical Values', New York Times (15 Mar 1971), 6.